“Overbiffing” is when a debt collector overstates the debtor’s balance. The reason it is called overbiffing is that the debt collectors overstate the debtor’s “balance in full.”People were told they owed thousands of dollars more than they actually did, sometimes the consumer didn’t even owe the debt. The latest scam involves debt collectors claiming to be associated with the County Sheriff’s Office or a process server. They tell you that you will be served with legal papers, sued or even arrested unless you pay the debt immediately. The debt collectors offer to let you talk to an attorney to avoid being arrested. The scammers just transferred the consumer to another debt collector. 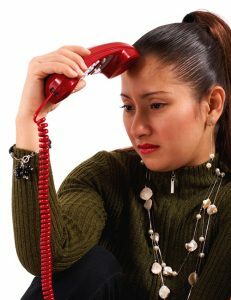 The aggressive collectors often call the debtors workplace and family members regarding the debt. There is also abusive language and harassing threats to get the debtor to pay the bill to make the calls stop. Not only is overbiffing illegal, but harassing and abusive phone calls are also unlawful under the Fair Debt Collection Practices Act. These lower-end collection agencies hire freelancers to get as much of the cash as they can since debt collectors buy the debt for cents on the dollar; any money they collect is all theirs. The Federal Trade Commission and the Attorney General’s office have filed lawsuits against agencies, and their employees that practice overbiffing. If you believe you have been victimized by overbiffing, or the creditors and debt collectors are verbally abusive and threatening, call 1-877-FTC-HELP (382-4357) or go online to file a complaint. Contacting a McAllen bankruptcy attorney can get all phone calls and legal action regarding your debt to stop immediately. Don’t let another day go by if you are unable to make any more than the minimum payments and are doing without necessities to pay your bills and keep the debt collectors off your back.